Ft. Worth, TX: Regency Conversions has announced their support of the Lone Survivor Foundation. The Lone Survivor Foundation restores, empowers, and renews hope for our wounded service members and their families through health, wellness, and therapeutic support. To show their support for the Lone Survivor Foundation, Regency will be making a donation in the amount of $500.00 to LSF with retail sale of a Black Hawk truck at every stocking dealer nationwide. This donation can be made in either the dealership’s name, or the dealership can elect to have the contribution put in the name of the valued retail customer. 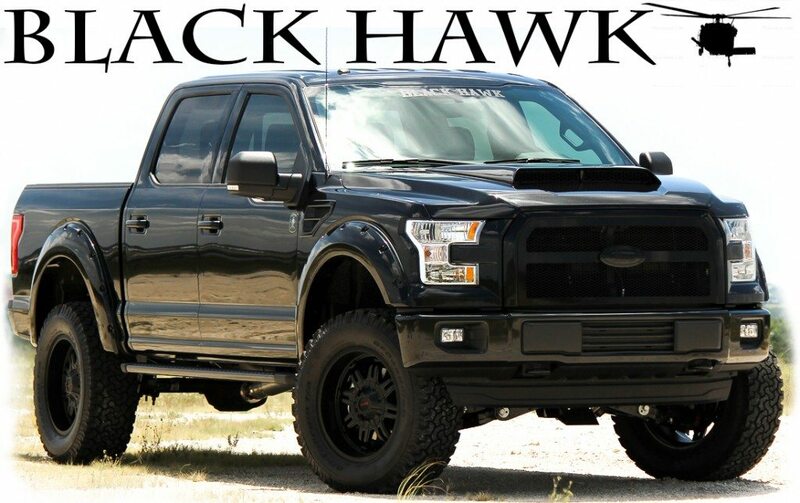 Developed to honor the brave men and women of the United States armed forces, the Black Hawk is more than just a truck – it’s a tribute to the brave people who have fought for our freedom. Sitting on an aggressive 6” Pro Comp suspension lift kit , 20” Tuscany stealth black rims, and 35” BF Goodrich All Terrain KO2 tires that come standard on the Black Ops, this truck sets the standard for excellence in the industry just as our nation’s Armed Forces do for the world. As a family owned and debt free business, Regency Conversions is the market leader in the design, innovation, and production of custom vehicles. Their newly completed (2013) state of the art manufacturing facility and corporate headquarters is located in Fort Worth, Texas. When you buy a Regency vehicle you can expect the best quality and best customer service in the industry. This is our promise as the leading manufacturer of specialty vehicles. Simply put, Regency offers the best built customized vehicles in the industry for the pleasure, enjoyment and pride of ownership of the retail customer and success of our dealer partners. Regency vehicles and enhancements (packages) can be floored by the dealer as well as financed by the lenders used by the dealership. The vehicles produced by Regency normally are retailed to the public through the dealership base. However, they can assist the retail public in locating a stocking dealer in their area or with the purchase of a vehicle through the dealer of their choice. Regency vehicles are serviceable and warrantable through any of the corresponding dealers in the United States. If you have any questions regarding the Lone Survivor Foundation, the Black Hawk by Regency, or Regency’s affiliation with the Lone Survivor Foundation, please do not hesitate to call Program Director Zack W. Brown directly at 817-730-6814 or Program Sales Manager Ross Bates 817-730-6815.